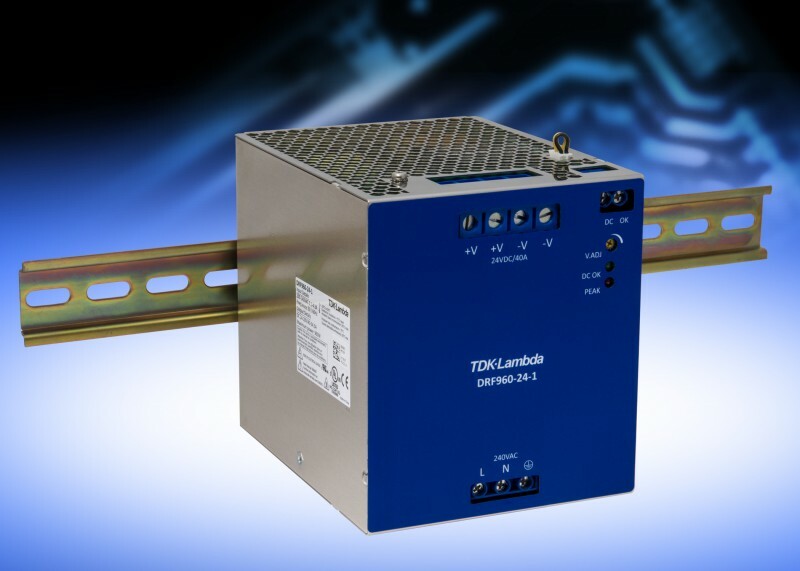 TDK has announced the addition of a 960 W rated model to its DRF series of AC-DC DIN rail mount power supplies. 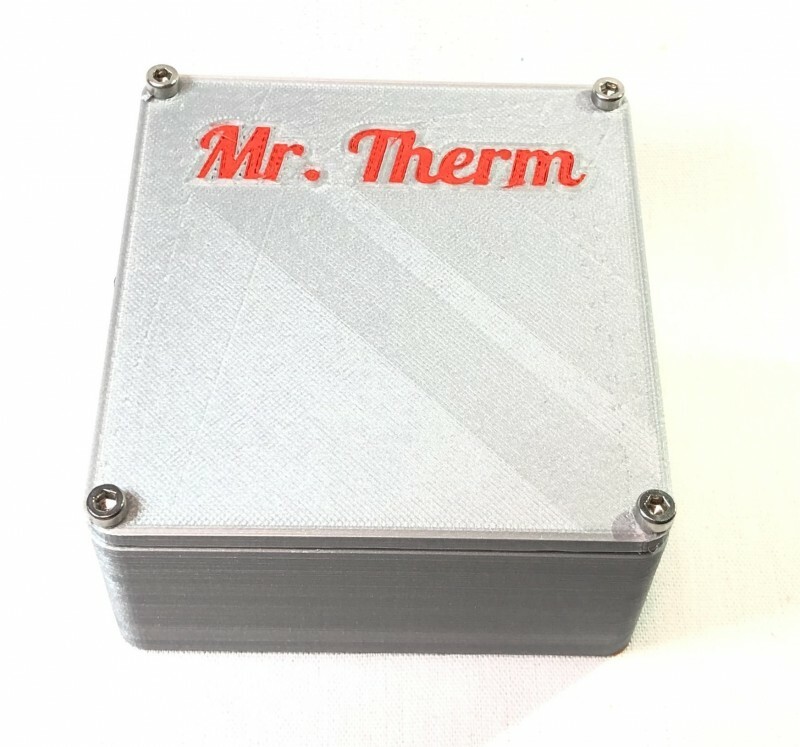 The high 95% efficiency produces less internal waste heat enabling electrolytic capacitors to run cooler, providing a calculated life of in excess of eleven years with a 75% load at 230Vac input. The unit can supply a peak load of 1440W (24V 60A) for up to 4 seconds to power capacitive and inductive loads. Applications include industrial process control, factory automation, and test and measurement equipment. The power supply has a 24 V output, adjustable from 24 V to 28 V, using either the front panel mounted trim potentiometer or an external 5 to 6V source. The input range is 180 to 264 VAC, withstanding surges of up to 300 VAC for 5 seconds. The operating ambient temperature is -25°C to +70oC, -40°C cold start, derating linearly above 50°C to 75% load at 70°C. The DRF series warranty is five years. The DRF960-24-1 is 123.4 mm tall, 139 mm deep and has a narrow 110 mm width saving both space on the rail and in the cabinet. Remote on/off and a 30 V 1 A rated DC OK relay contact are provided as standard. When in standby mode using the remote on/off function, the power consumption is less than 1 W. Up to five units can be connected in parallel using the droop mode current share, for systems requiring additional power. Input to output isolation is 3,000 VAC, input to ground 1500 VAC and output to ground 500 VAC. The DRF960 is certified to the safety standards of IEC/UL/CSA/EN 60950-1, UL508 and is CE marked in accordance to the Low Voltage, EMC and RoHS Directives. The unit is compliant to EN 55032-B (radiated and conducted emissions), EN 61000-3-2 harmonics and IEC 61000-4 immunity standards. Analog Devices has announced the ADMV1013 and ADMV1014, a paired highly integrated microwave upconverter and downconverter, respectively. These ICs operate over a very wide frequency range with 50 Ω-match from 24 GHz up to 44 GHz, facilitating ease of design and reducing the costs of building a single platform that can cover all 5G mm Wave frequency bands including 28 GHz and 39 GHz. Additionally, the chipset is capable of flat 1 GHz RF instantaneous bandwidth supporting all broadband services as well as other ultra-wide bandwidth transceiver applications. 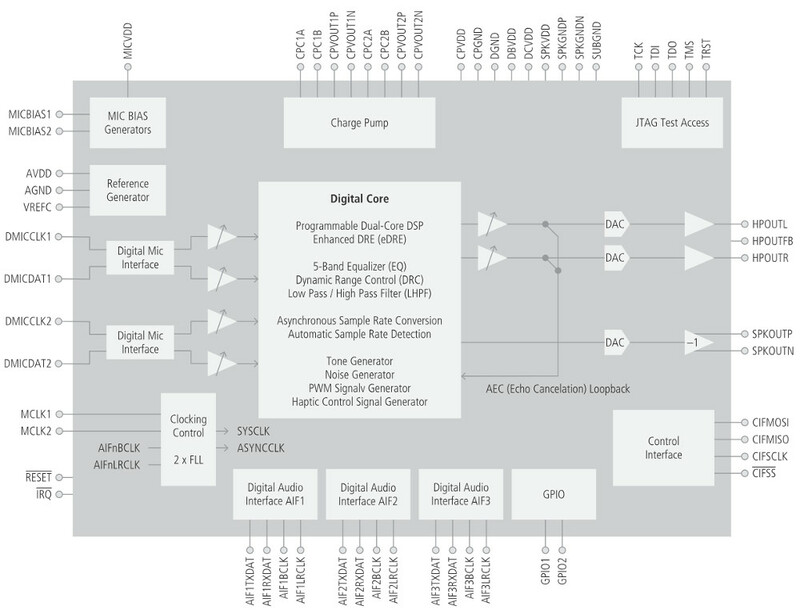 Each upconverter and downconverter is highly integrated, comprising I (in-phase) and Q (quadrature-phase) mixers with on-chip programmable quadrature phase-shifter configurable for direct conversion to/from baseband (operable from DC to 6 GHz) or to an IF (operable from 800 MHz to 6 GHz). Also included on-chip are voltage variable attenuators, transmit PA driver (in the upconverter) and a receive LNA (in the downconverter), LO buffers with x4 frequency multiplier and programmable tracking filters. 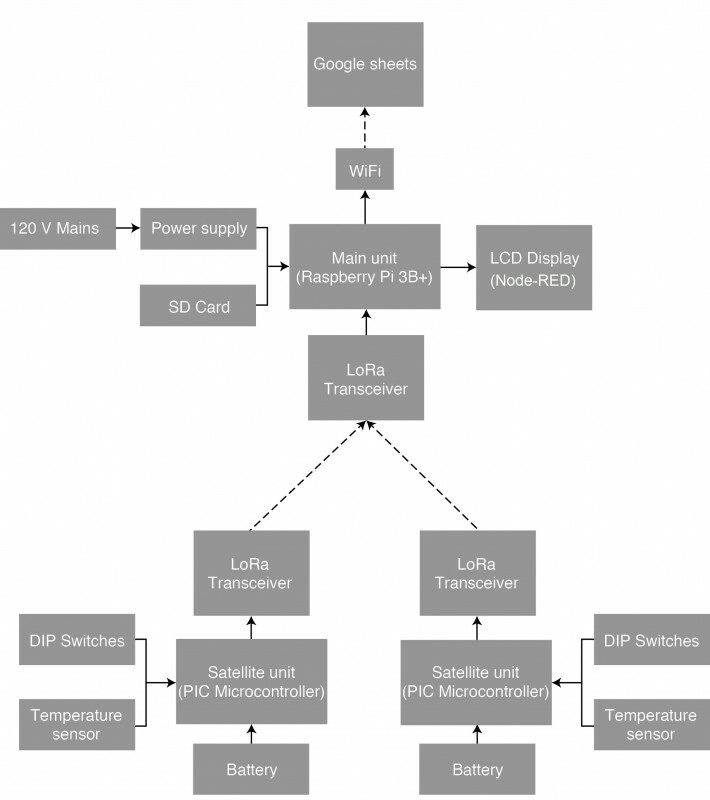 Most programmability functions are controlled via an SPI serial interface. Through this port, these chips also provide a unique capability for each upconverter and downconverter to correct its respective quadrature phase imbalance, hence the usually difficult to suppress sideband emission can be improved from a typical value of 32 dBc, by 10 dB or more. The highly integrated ADMV1013 microwave upconverter and the ADMV1014 microwave downconverter are well suited for the microwave radio platforms that operate in the emerging 28 GHz and 39 GHz 5G wireless infrastructure bands. The converters’ 1GHz bandwidth capability, along with the upconverter’s OIP3 of more than 20 dBm that supports stringent modulation schemes such as 1024QAM, are necessary to enable multi-Gigabit wireless data. Moreover, the chipset benefits other applications such as satellite and earth station broadband communication links, aircraft radios, RF test equipment and radar systems. 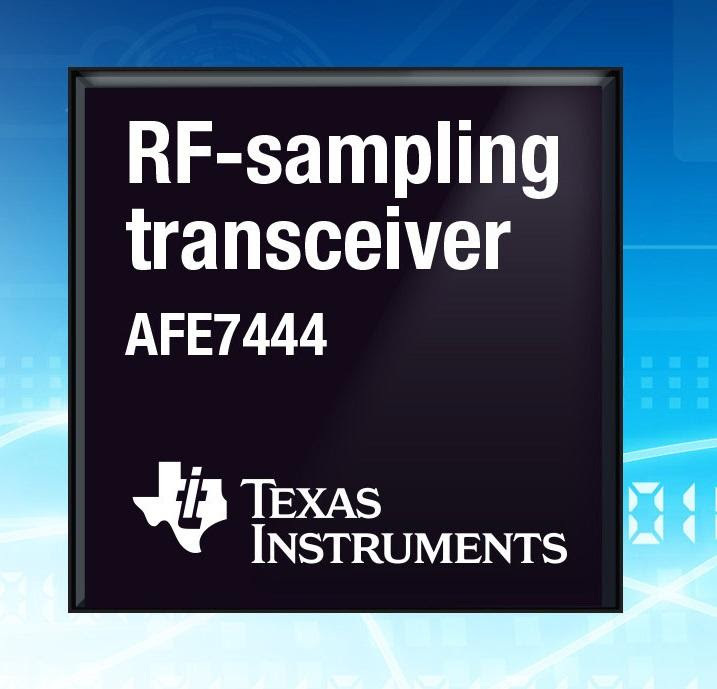 Their superb linearity and image rejection performance are particularly compelling for improved range of microwave transceivers. The ADMV1013 is offered in a 40-pin, 6 mm x 6 mm LGA, and the ADMV1014 is in a 32-pin, 5 mm x 5 mm LGA package. Samples and production quantities are available immediately. Pricing per 1,000 each for the ADMV1013 starts at $90.79 in a 40-pin, 6 mm x 6 mm CSP package. Pricing per 1,000 each for the ADMV1014 starts at $88.37 in a 32-pin, 5 mm x 5 mm CSP package. 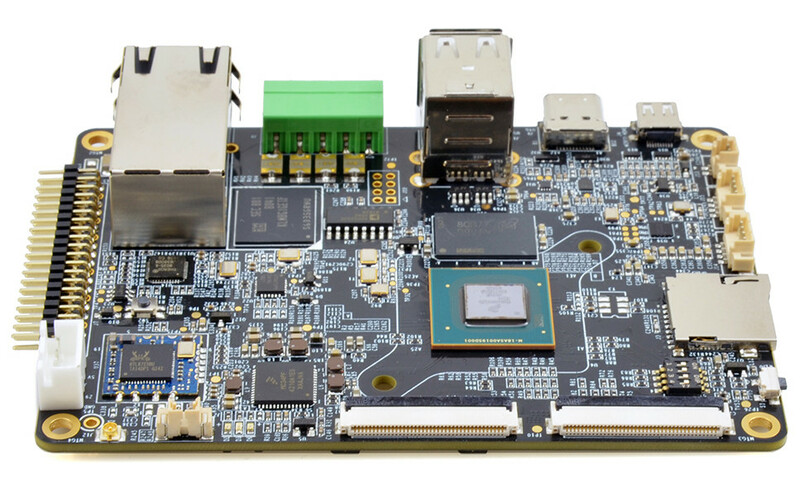 Estone is launching an “EMB-2238” Pico-ITX board for audio and voice control applications that runs Linux on an i.MX8M and offers a dual-DSP audio hub and DAC, 40-pin GPIO, and optional PoE and second GbE. 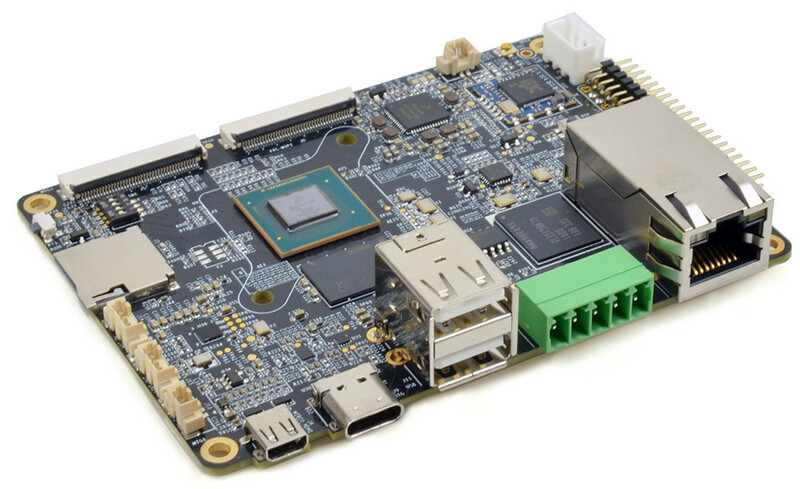 Toledo, Ohio based Estone Technology (known for its former Habey brand) offers a variety of Linux-friendly Pico-ITX boards, including boards based on the i.MX6 (EMB-2230), i.MX6 UL (EMB2200) models, and Intel Cherry Trail EMB-2610. 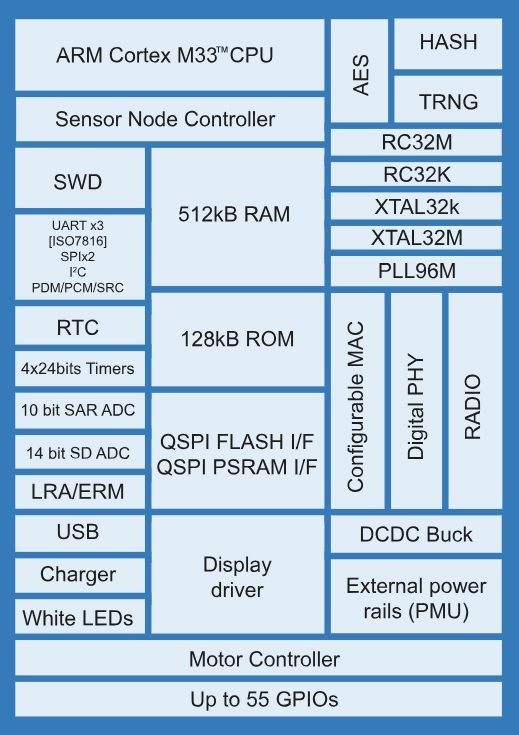 The company recently announced (via Electronics Weekly) an EMB-2238 board with the same 100 x 72mm form factor. 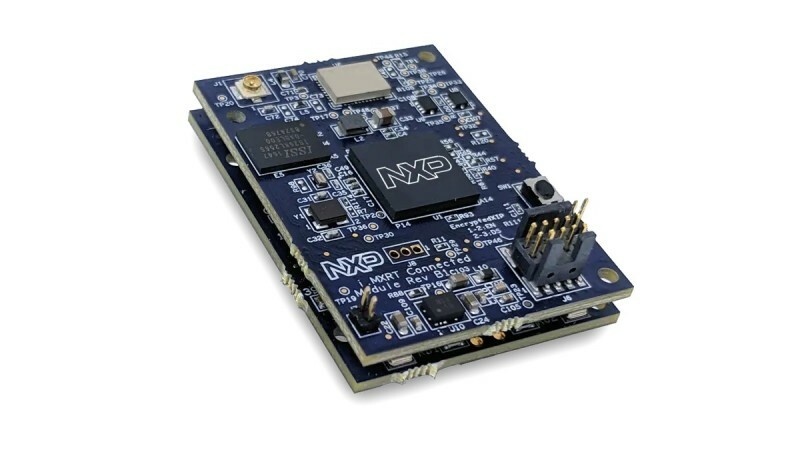 The SBC builds on the audio strengths of NXP’s i.MX8M SoC with the help of high-end audio circuitry from Cirrus Logic. 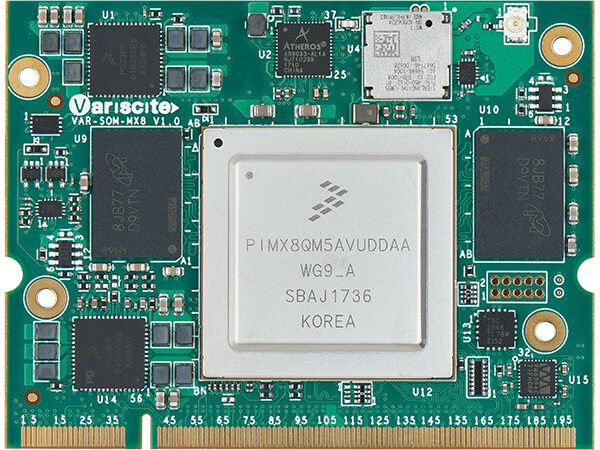 (click images to enlarge)The EMB-2238 uses the quad-core version of the 1.5GHz, Cortex-A53 equipped i.MX8M, which also includes a GPU and 266MHz Cortex-M4 chip. Estone provides a Yocto Project stack based on Linux kernel 4.9, Qt, and Wayland. It also supports Android 8.1.0. 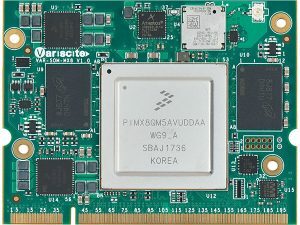 Other i.MX8M Pico-ITX boards we’ve seen include Kontron’s dual-GbE pITX-iMX8Mand F&S Elektronik Systeme’s up to 8GB LPDDR4 armStone MX8M. There’s also a larger, 136.7 x 87mm Nitrogen8M SBC from Boundary Devices. All these boards tap the i.MX8M’s extensive digital audio skills to varying degrees, but the EMB-2238 is even more focused on audio and voice control applications. 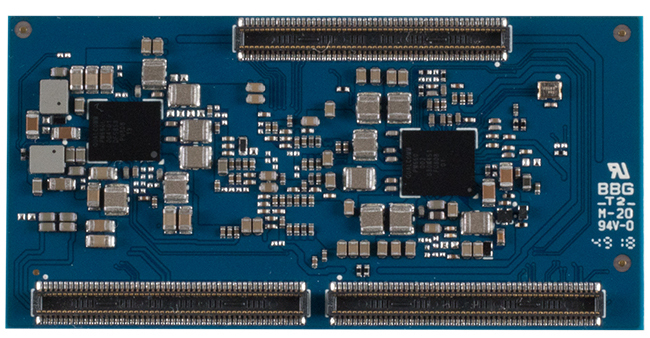 It adds a Cirrus Logic CS47L24 smart codec module with a dual-core, 300-MIPS DSP and audio hub. The triple-DAC device offers a 115 dB dynamic range, an 8-192kHz sample rate, and Enhanced DRE processing (eDRE) for 121dB SNR. (click images to enlarge)The CS47L24 drives the EMB-2238’s dual digital MEMS microphone header, which features multi-mic noise suppression and acoustic echo cancellation (AEC). 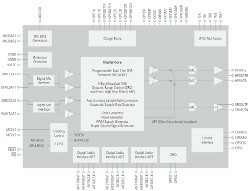 A 40-pin expansion header provides omni-directional, spatial 8-channel digital audio/DMIC inputs (SAI5) for the mic array, among other I/O including PCIe. Additional audio features on the SBC include a Class D, 2W mono speaker, an 8-channel digital input and output (SAI1), and SPDIF and QSPI audio interfaces. 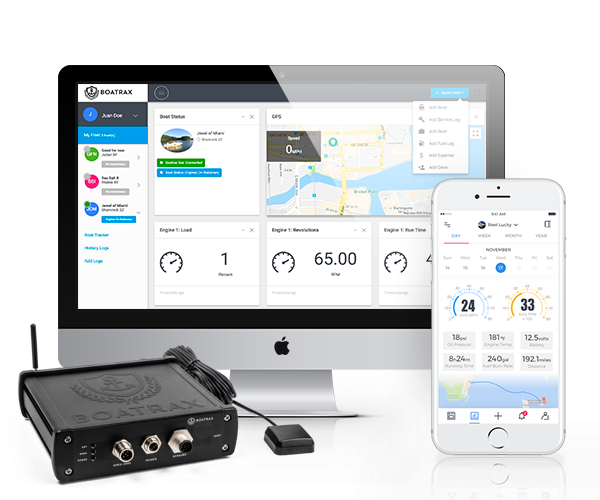 The EMB-2238 ships with the Amazon AVS (Alexa Voice Service) Device SDK, as well as Sensory’s TrulyHandsfree wake word engine. It also supports the Snips AI voice control assistant, including support for off-line operation (see video demo farther below). 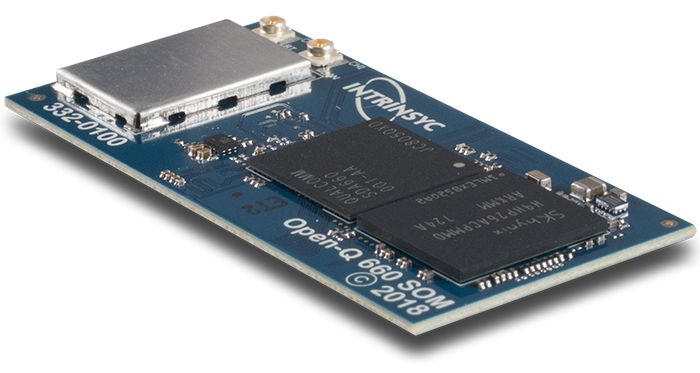 You can purchase the SBC with 2GB to 4GB LPDDR4, and a microSD slot and 8GB iNAND are also available. 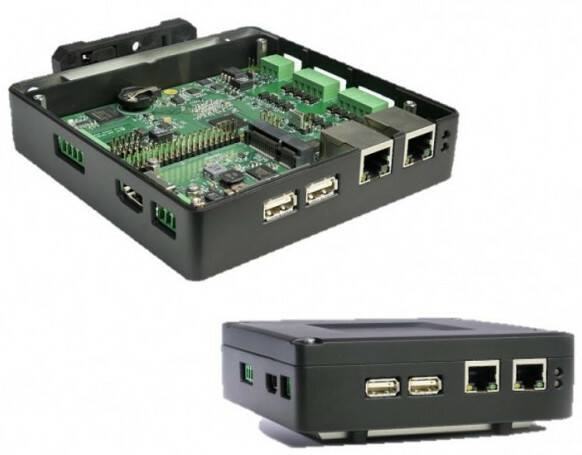 For communications there’s a WiFi/BT module and a GbE port with optional an Power-over-Ethernet (IEEE 802.3af) or PoE+ (802.3at) module that can also power an attached LCD panel. 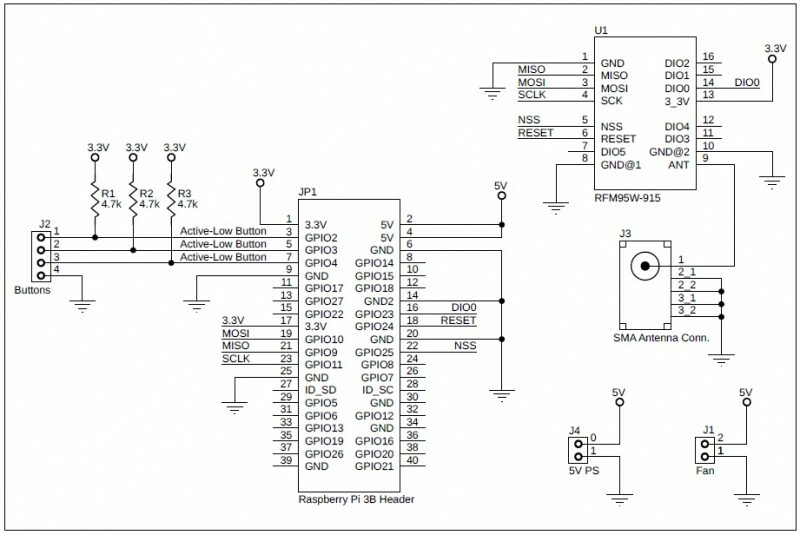 A separate option provides a second GbE port via a PCIe add-on card that also integrates a 9-36V DC input, GPIO, an ambient sensor, and an LED control for light bars. 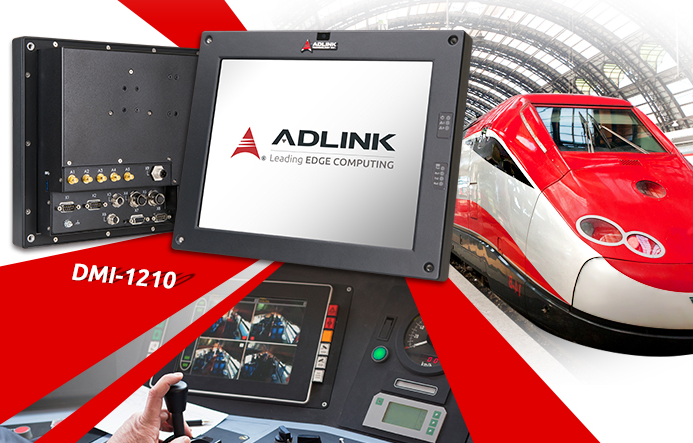 (click images to enlarge)The EMB-2238 is equipped with a 4K-ready micro-HDMI port and HD-ready MIPI-DSI with optional 10.1-inch touch-panel. 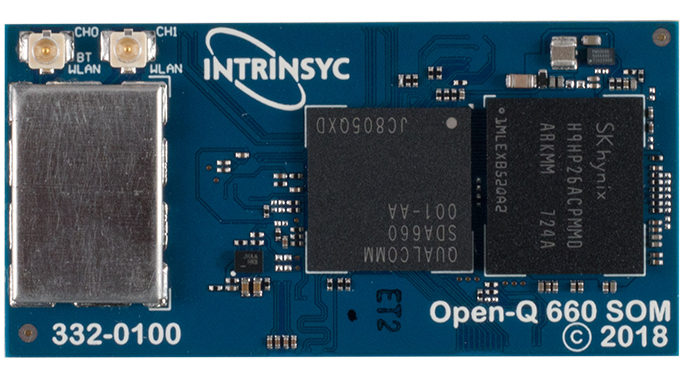 Other features include a MIPI-CSI camera interface, USB 3.0 OTG Type-C port, dual USB 2.0 host ports, and 2x internal USB interfaces. The SBC provides a RS-232/RS-485 terminal block, RS-232 header, and the 40-pin header. 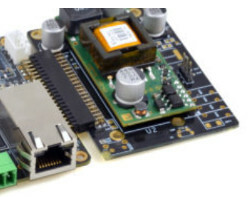 A 5V DC header offers an alternative to the optional PoE and 9-36V input. 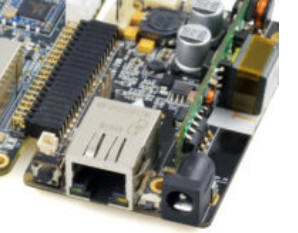 The board also provides a watchdog and 0 to 60°C support. As usual with Estone, you get comprehensive documentation. Networking — GbE port with optional PoE; optional second GbE via PCIe add-on with GPIO, 9-36V input, LED control etc. Expansion — 40-pin connector with PCIe x1, GPIO, font panel control, PoE, 8 ch. audio in etc. No pricing or availability information was provided for the EMB-2238 SBC. More information may be found at the Estone Technology EMB-2238 product page. Estone Technology is demostrating the board at Embedded World in Nuremberg (Feb 26-28) at Hall 1 stand 1-129. This article originally appeared on LinuxGizmos.com on February 15. 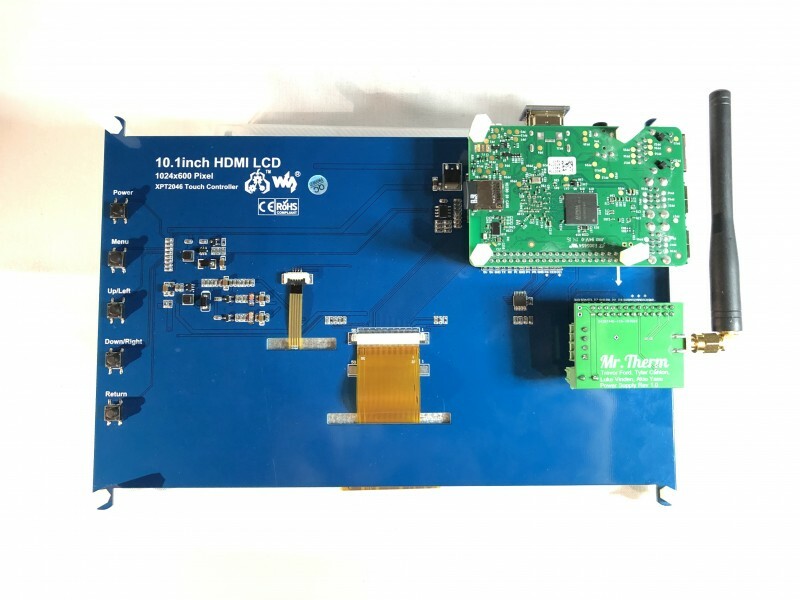 While not exactly a brand-new technology, flexible printed circuit boards are a critical part of many of today’s challenging embedded system applications from wearable devices to mobile healthcare electronics. The PCB production service vendors listed here feature a variety of Flex PCB manufacturing services to help bring your embedded system design from prototype to production. Accutrace serves the electronics industry’s needs for quick turn PCB fabrication from prototype to production. They can manufacture only what is needed, when it’s needed—and in the amount needed. No need to worry about long shelf life or tying up your capital in bare board inventory. Beta Layout’s Flex-Pool PCBs use polyimide foils as their base material. Beta Layout’s PCB-POOL operation is Europe’s largest manufacturer of PCB prototypes, with over 36,000 customers worldwide. PCB-POOL cost sharing principle enables system designers to benefit from low prices. You can calculate the prices instantly online using the PCB-POOL’s Online price calculation. PCBs using special technologies and materials can also be sourced directly from the company, from prototype to series production quantities. Flexible PCB Services: All of Beta Layout’s Flex-Pool PCBs are manufactured exclusively in Germany. Only polyimide foils are used as the base material. These provide different benefits compared to other foils, differing substantially from rigid PCB materials. EzPCB is an online provider of PCB manufacture and PCB assembly products and services. Based in China, the company’s worldwide business has been growing rapidly since its launch in 2004. EzPCB has supplied high quality PCBs—and related products and services—for over 2,000 customers from more than 40 countries. 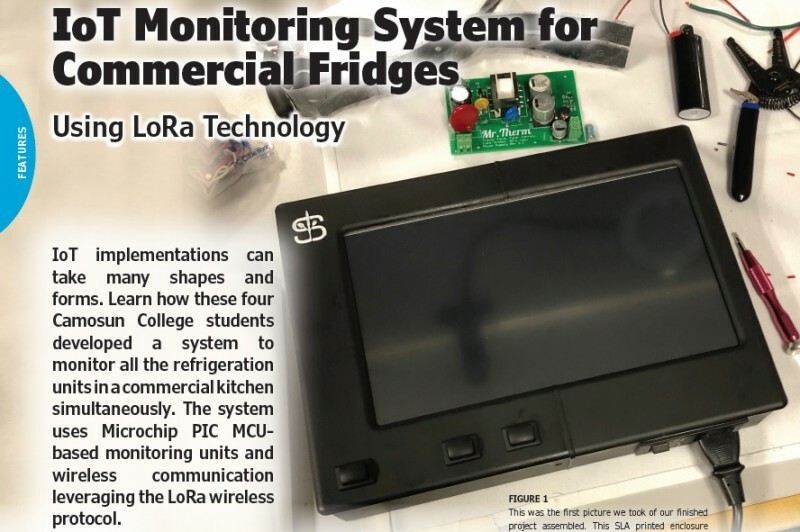 Its customers include amateurs, small businesses, universities and many world-class companies and organizations including Jet Propulsion Laboratory, Micron, Siemens, STMicroelectronics and Rohm. Flexible PCB Services: Flex PCB support: Components mounted on flexible plastic substrates, such as polyimide, PEEK or transparent conductive polyester film. Additionally, flex circuits can be screen printed silver circuits on polyester. 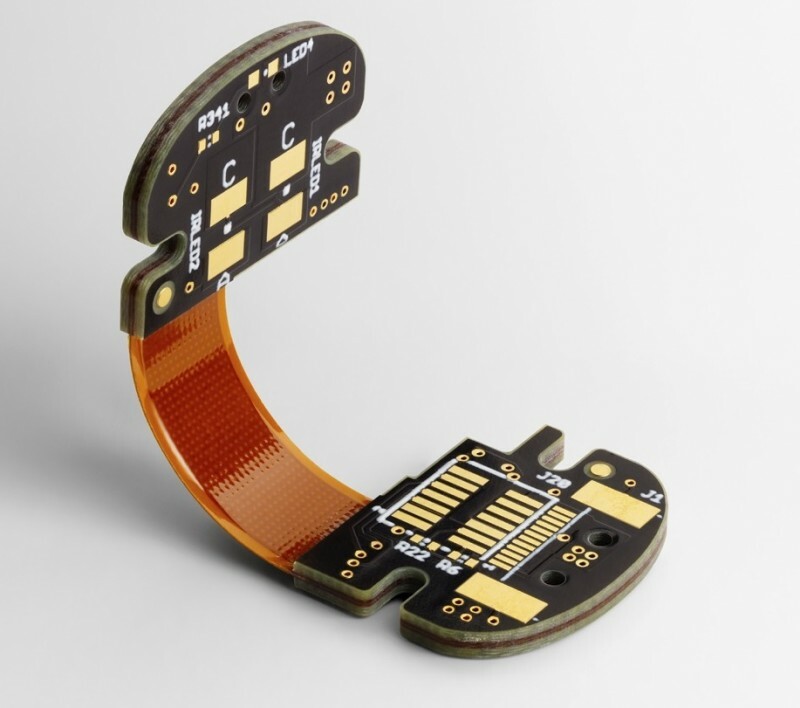 Flexible electronic assemblies may be manufactured using identical components used for rigid printed circuit boards, allowing the board to conform to a desired shape, or to flex during its use. Rigid-Flex PCB support: Flexible and rigid board structures are bonded together in the same units as one part of so called rigid-flex boards. Most rigid flex boards consist of multiple layers of flexible circuit substrates attached to one or more rigid boards externally and/or internally, depending upon the design of the application. Rigid-Flex PCBs contain a flexible part with an insulating layer and a conductor layer, and a rigid part with circuit wiring. Epec specializes in custom, build to print electronics. It has a global team of engineers, designers, R & D innovators, product managers, manufacturing/supply chain professionals, quality assurance personnel and sales/customer service staff, all of whom are experts in their fields. Rather than limit its production capacity to its US and UK manufacturing centers, Epec has developed UL certified world class production facilities which are ISO-9001, QS-9002, TS-16949, with aligned technology roadmaps and quality systems. Services Summary: Provides complete engineering and design services, from concept through production, in a quick and efficient time frame. 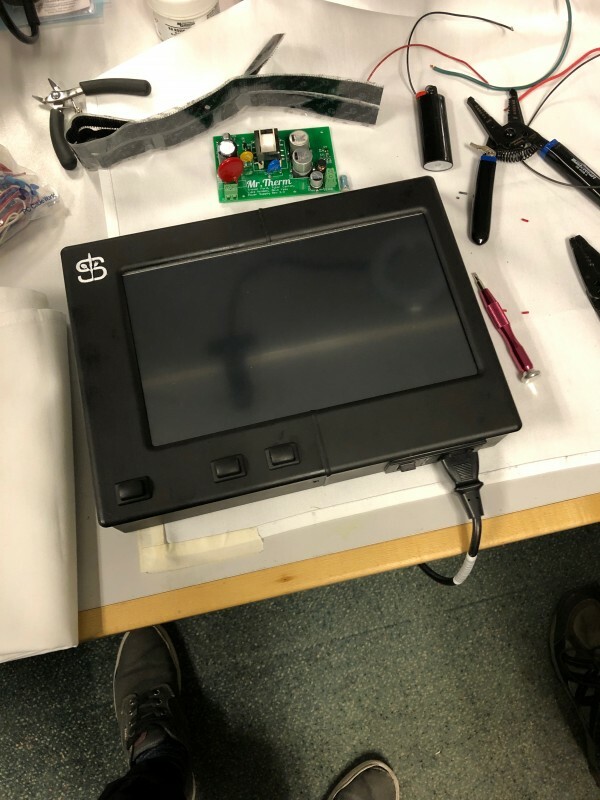 Capabilities include: battery pack design and assembly, PCB electronic design, cable assembly design, flex and rigid-flex circuit design, user interface and more. 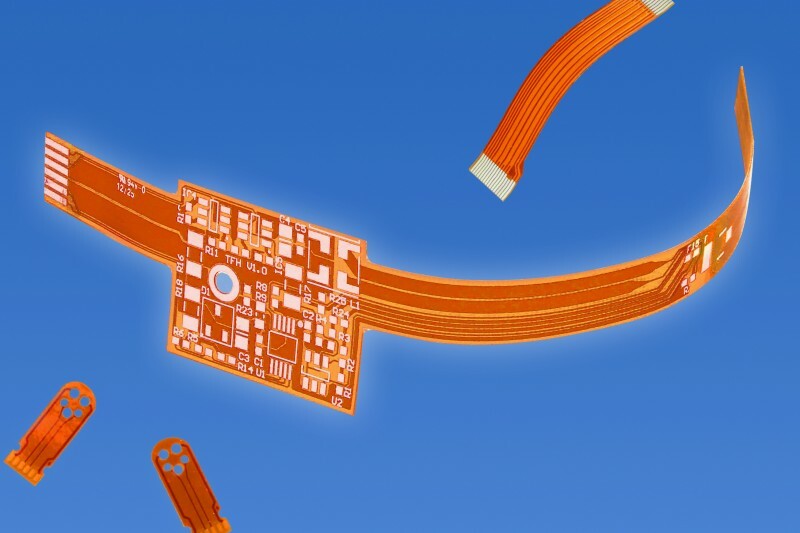 Flexible PCB Services: Epic’s flex and rigid-flex solutions and capabilities span from single- or double-sided circuitry to higher technology multilayer designs up to 6 layers. Its flexible circuits are built to withstand the rigors of aerospace, medical and military applications. As a high reliability replacement for wire and wire harness assemblies, flex circuits provide a significant cost savings with no reduction in performance. Shown here is an example of Flexible Circuit Technology’s multi-layer flex PCB. It combines several single-sided or double-sided circuits with complex interconnections, shielding and/or surface mounted technologies in a multi-layer design. The layers may or may not be continuously laminated together throughout the production process. Flexible Circuit Technologies (FCT) has an internationally recognized flex circuit Application Engineering and Design Team offering over 250 years of combined industry expertise, allowing FCT to provide customers with superior design services and attentive overall support. By co-chairing the IPC (Association Connecting Electronics Industries) Flexible Circuit Design committee, FCT stays abreast of industry standards and helps set standards the industry. Services Summary: Supports multiple types of flexible PCBs; value added Assembly, Testing Services to complete box builds; Design consultation, optimization, DFM (Design for Manufacturing), to final flex design; Supply chain management for components and materials; Prototypes through production; Low mix-high volume and high mix-low volume program support; Assembly services; Testing Services. Flexible PCB Services: Supports single, double, multi-layer flex, rigid flex, flexible heaters, flat flex and membrane switches. Heat sinks can be laminated to flex circuits to dissipate heat away from sensitive components such as LEDs. Supports through hole and surface mount capabilities on Flex PCBs, as well as in circuit testing, conformal coating, and electrostatic protective packaging. Graphic overlays can be placed over flexible circuits, rigid boards or membrane switches. Imagineering acts as a reliable source for high quality and on time PCBs. Its quick turn prototypes not just intended for testing and verification of designs. Every one of its boards meet IPC-A-600 F (Class2) standard, be it prototype or production. Specializes in quick turn prototypes, as well as rapid turn production. Services Summary: PCB assembly capabilities summary: SMT, Flip chip, thru hole, Flex circuit assembly, cable assemblies, lead-free assembly and wire harness assembly. Full Turnkey service for all customers if needed as well as partial turn-key and consignment orders. PCB capabilities include: 22-layer fabrication, hole sizes down to 8 mil plated and 5 mil laser drilled, 3 mil line width and spacing, 6 oz. copper and a maximum PCB thickness up to .300″. Flexible PCB Services: Supports Multi-Layer, Rigid and Flex PCBs. 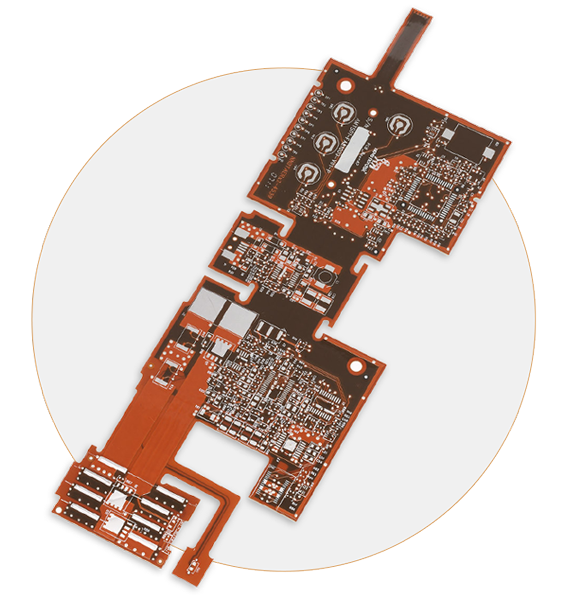 OurPCB is a multi-national PCB manufacturing and PCB assembly company that provides global service and support while using its own Chinese manufacturing capabilities. Company has provided professional PCB production and assembly services for more than 2,500 customers around the globe. Services Summary: Assembly capabilities include BGA, LGA, QFN, QFP, DIP and SIP. The smallest SMT footprint it can mount is 0201. Factory can also provide programming and wiring as well as injecting and conformal coating services. Flexible PCB Services: Can fulfill flex PCB orders of 20 layers maximum; high-quality, quick turn flexible PCB manufacturing services. PCBCart is a professional PCB production service provider with more than 10 years of experience in the electronics manufacturing industry. It has manufactured printed circuit boards for more than 10,000 companies and over 80 countries around the world. Fast, affordable prototype assembly they take your unique PCB designs, prepare them for the assembly process and perform comprehensive testing to ensure they meet your precise performance requirements. Can provide a complete turnkey PCB prototype assembly featuring a one-stop shop approach. Flexible PCB Services: Specializes in the fabrication and assembly of flexible PCB products for use in the manufacturing of medical devices and various types of telecommunication and industrial equipment. Can also work with customers to produce a custom flex PCB prototype. In 2003, PCB Unlimited’s sister company Stencils Unlimited pioneered the internet SMT stencil quote and order process. In 2008, PCB Unlimited took it one step further by providing a one-stop-shop where engineers can quote and order online US and offshore PCB services and everything else they need for their PCB projects. Flexible PCB Services: Flex and Rigid-Flex PCBs from prototype to production. Specializes in the complex, advanced technology of PCB fabrication and assembly, producing high quality multi-layered PCBs from elaborate layouts. Expertise in circuit boards is not limited to PCB manufacturing, but extends to PCB layout & PCB assembly. 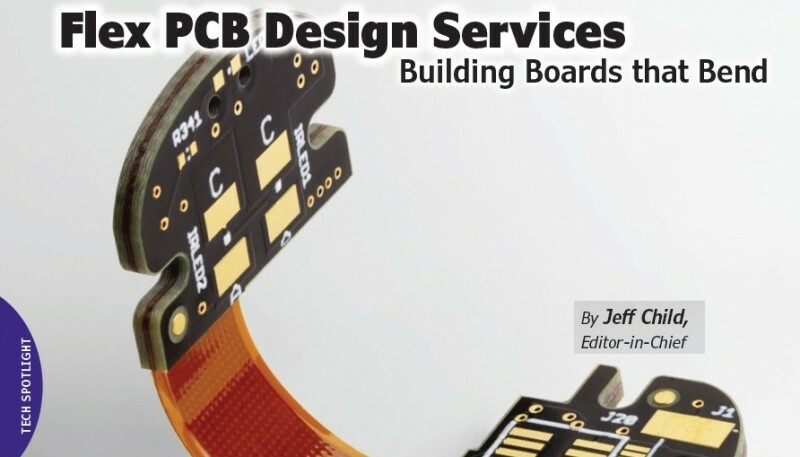 Services Summary: PCB fabrication, PBC assembly and PCB layout services. Supports Mil-SPEC PCBs, Flex PCBs, Metal Core PCBs and many others. Flexible PCB Services: Supports Flex PCBs and Rigid-flex PCBs. Can provide heavy copper flex circuit boards that can also be coupled with flexible thin copper layers designed to handle heavier power currents. Your heavy copper boards can be built with flex portions for lower voltage additions and applications. • Copper Thickness 0.5 oz. – 4 oz. Sierra Circuits can quickturn Flex PCBs in two days or less. Sierra Circuits is an ISO 9001:2015, ISO 13485:2016 and MIL-spec MIL-PRF-55110 certified, Silicon Valley-based, high-technology PCB manufacturer and assembler. It specializes in quick turn PCBs and medium production. By owning its manufacturing and assembly facilities, the company controls every aspect of the production schedule and quality. Flexible PCB Services: Latest offerings include Flex PCBs, Rigid-flex PCBs, and microelectronics PCBs down to 1 mil trace/space (some restrictions apply). Offers high-quality, high-reliability quickturn flexible printed circuit boards in two days or less. • Max. Finished Cu Weight I.L. 2 oz. US FDA Medical Devices Website www.fda.gov/MedicalDevices/DigitalHealth/MobileMedicalApplications/ucm368744.htm. Dr. Gualtieri writes a science and technology blog at http://www.tikalon.com/blog/blog.php. He is the author of three science fiction novels, and books about science and mathematics. See http://www.tikalonpress.com for details. CUI’s Power Group has announced the addition of 3 W and 5 W models to its line of low power, encapsulated AC-DC power supplies. 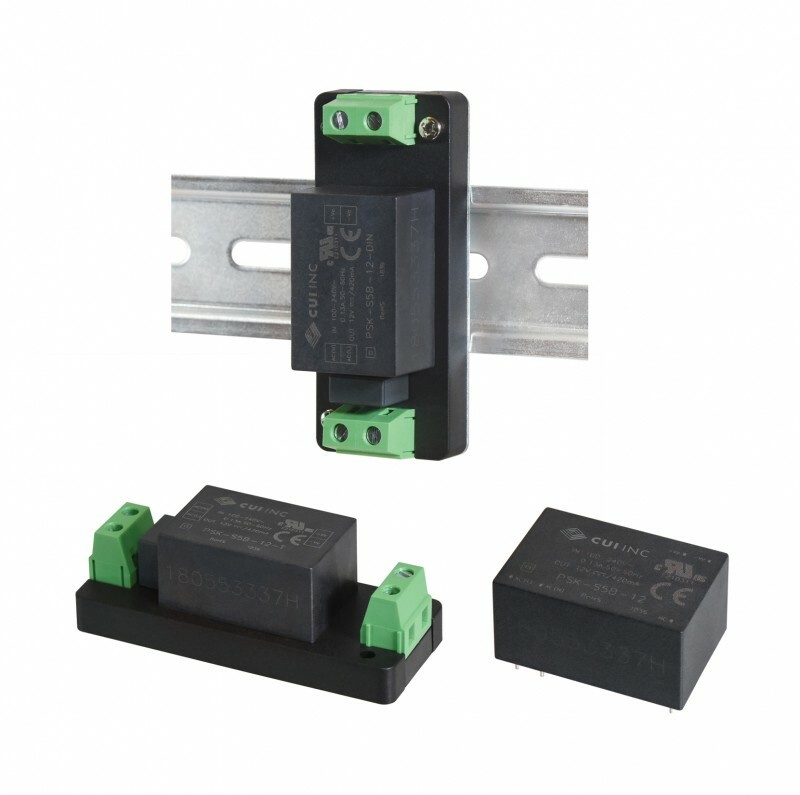 Available in board mount, chassis mount, wire lead, and DIN rail configurations, the single output PSK-S3 and PSK-S5B series are housed in compact packages measuring as small as 1.46” x 0.97” x 0.71” (37 mm x 24.5 mm x 18 mm), making them well suited for space-constrained low power ITE, industrial control, automation, and consumer electronics applications. Designed for easy installation, the wire lead PSK-S3-L and PSK-S5B-L series, chassis mount PSK-S3-T and PSK-S5B-T series, and DIN rail mount PSK-S3-DIN and PSK-S5B-DIN series afford engineers additional options for simpler design implementation. These encapsulated modules feature 4 kVac input to output isolation, a universal input voltage range of 85 to 264 VAC, and a wide operating temperature range from -40°C up to +70°C. The series also offer single output voltages of 3.3, 5, 9, 12, 15 and 24 VDC, along with over current, over voltage and continuous short circuit protections. All models are certified to the new IEC 62368-1 safety standard for ICT and AV equipment, while meeting CISPR32/EN55032 Class A limits for conducted and radiated emissions. Featuring class II construction, these encapsulated ac-dc power supplies further carry a minimum MTBF of 300,000 hours at +25°C ambient, per MIL-HDBK-217F. The PSK-S3 and PSK-S5B series are available immediately with prices starting at $8.01 per unit at 120 pieces through distribution.